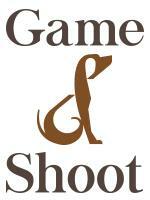 Immediate vacancy for groom in private hunting yard on east coast Wicklow. Schooling/hacking/turn out/muck out stables/usual yard & tack room duties. Must be able to prepare/plait 2 horses for twice weekly hunting. Live in position with own accommodation in a separate lodge with utility bills paid. Own lodge with kitchen/living room/bedroom/bathroom. All appliances & bed linen supplied.